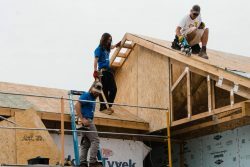 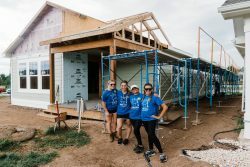 “Fort Collins Habitat for Humanity is dedicated to eliminating substandard housing in the Fort Collins area and worldwide through constructing, rehabilitating and preserving homes; by advocating for fair and just housing policies; and by providing training and access to resources to help families improve their shelter conditions. 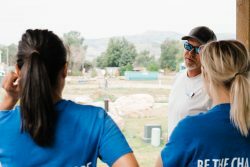 As our roots in Colorado continue to expand, our mission to contribute, support and engage with our surrounding community grows as well. With that, every project we complete, or volunteer group we partner with, teaches us something new. 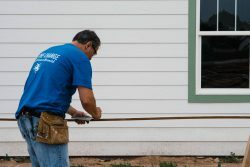 Sometimes these lessons incorporate market analysis, other times compassion, but this one in particular, was all about perseverance; the steadfastness in doing something despite difficulty or delay in achieving success. 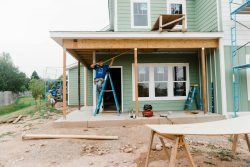 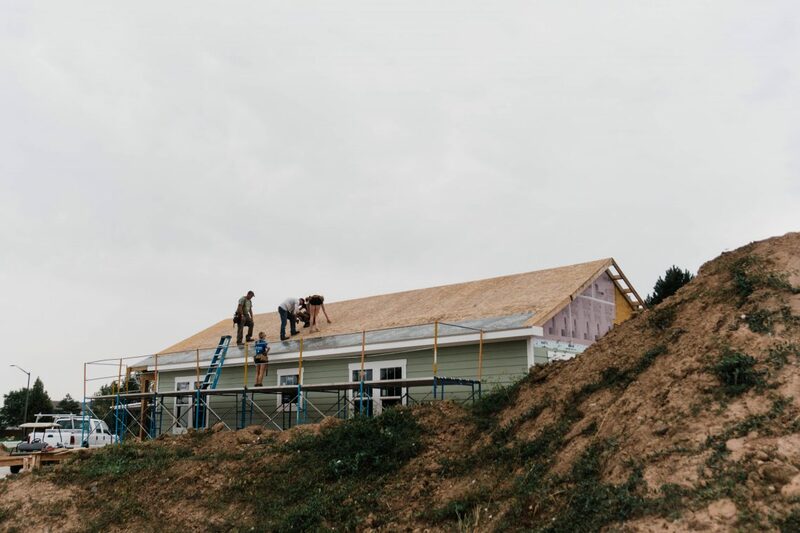 As home owners, it’s often times rare to be part of the construction of your home; laying the foundation, raising the framing, or shingle by shingle covering your roof. 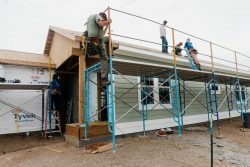 Yet, this is the norm for those who partake in the Habitat For Humanity program. 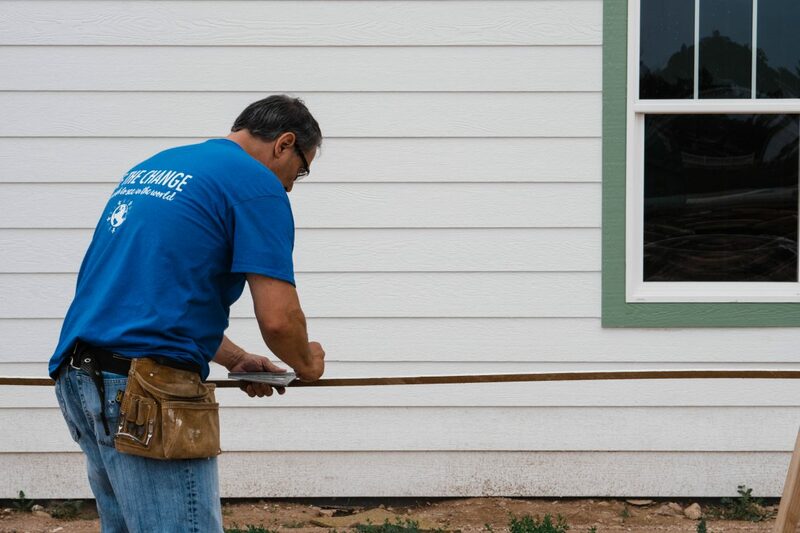 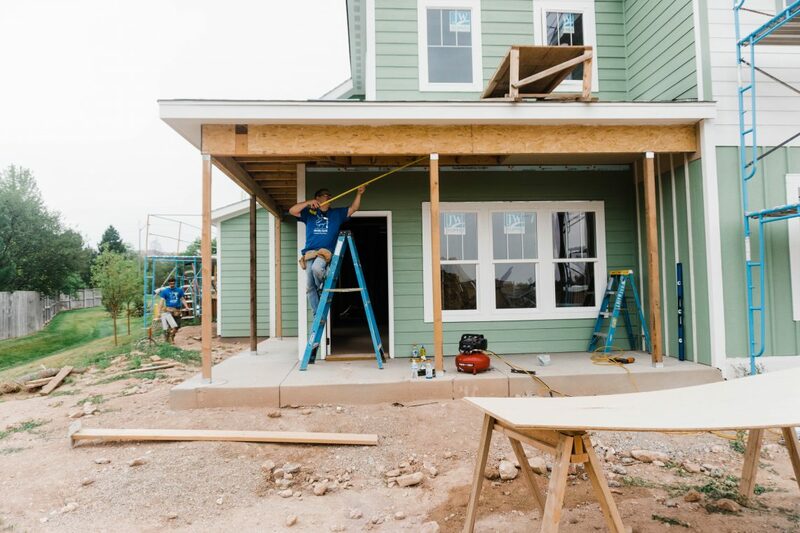 During our ‘Build Day’ experience, we worked alongside three ‘Harmony Cottage’ home owners. 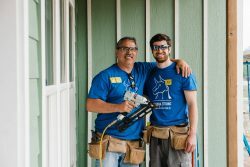 Each of them, having already contributed over 100 hours of service on their home or a neighbors. 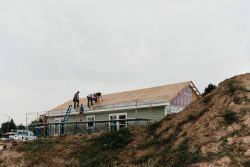 With a mission as strong as Habitat for Humanity’s and recipients as passionate as the ones we met, the Harmony Cottages community is bound to be one full of love, hard work, understanding and most of all, perseverance. Since 1993, Habitat for Humanity has built 70 local homes, 210 internationally and partnered with over 1,550 volunteers per year. 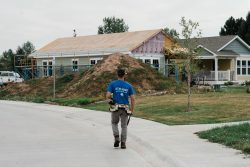 Now, with the Harmony Cottages development, the Fort Collins Habitat for Humanity is embarking on the largest development in its history. 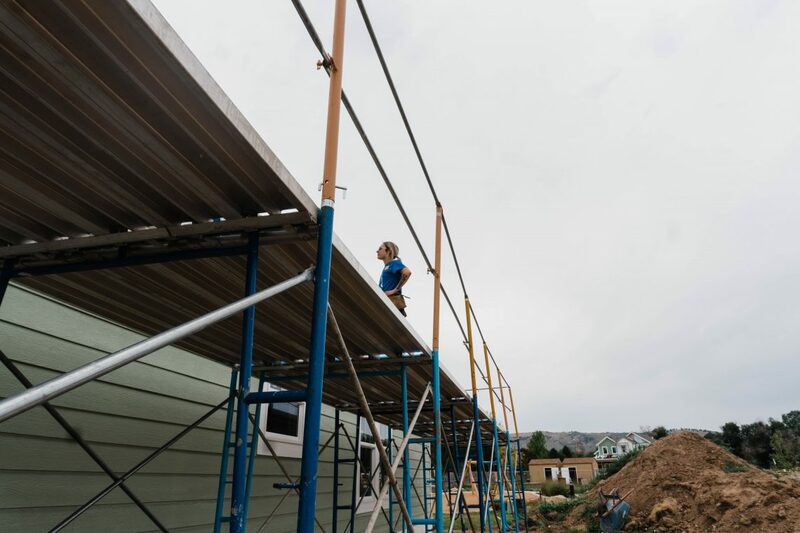 By building these 48 new, energy efficient homes over the next five years, 144 of our own community members, consisting of approximately 86 children and 58 adults, will obtain stable and affordable housing. 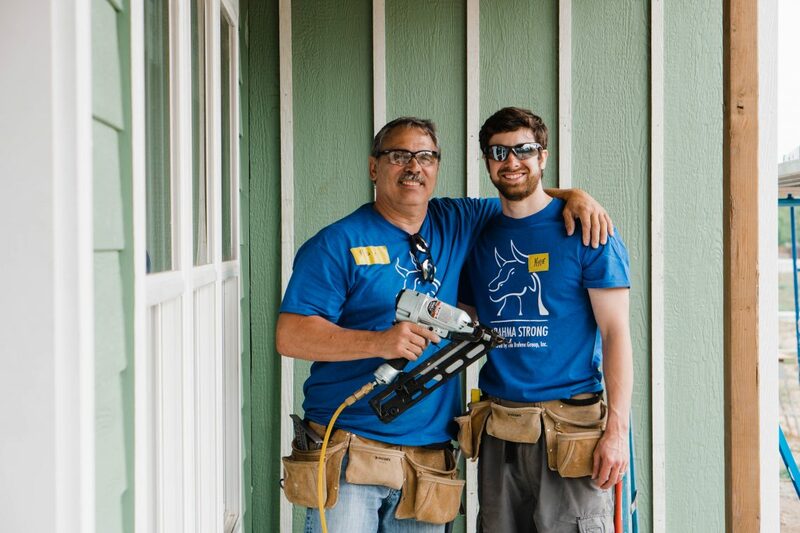 As a favorite band of ours once said, “..I get by with a little help from my friends”. 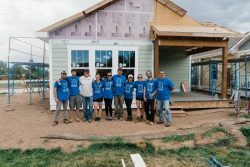 Now, through Habitat for Humanity’s mission, that message has become overwhelmingly true. A special thank you goes out to the friends who made our experience with Habitat for Humanity one we’ll always remember. 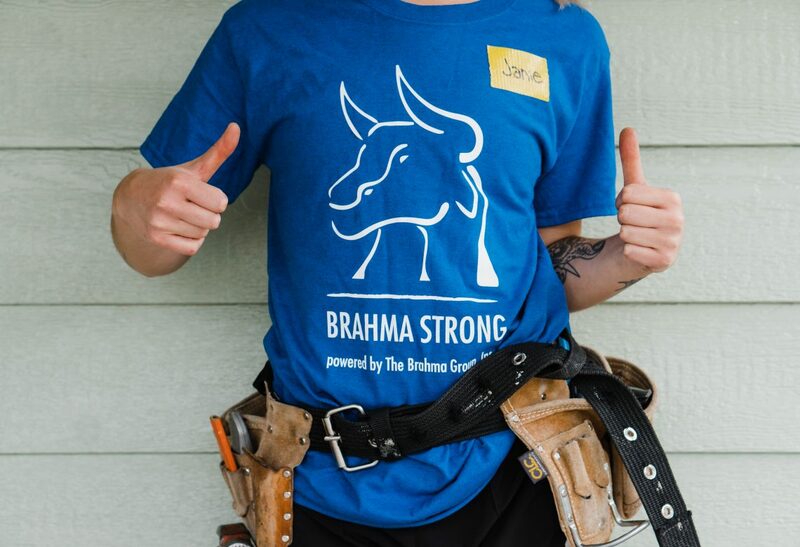 We’re grateful for our Brahma Strong group, who so graciously and willingly gave up their Saturday to contribute to our community; grateful for John and Brac for their guidance, support and dedication to their mission; and grateful for the opportunity to build alongside our future neighbors, who have quite literally invested everything they have — blood, sweat, tears, time and money – into being a part of the Fort Collins community. 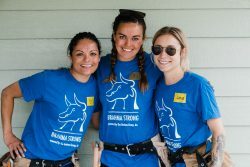 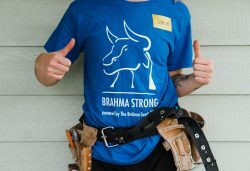 The Brahma Group, Inc. looks forward to partnering with Habitat for Humanity again in the near future. 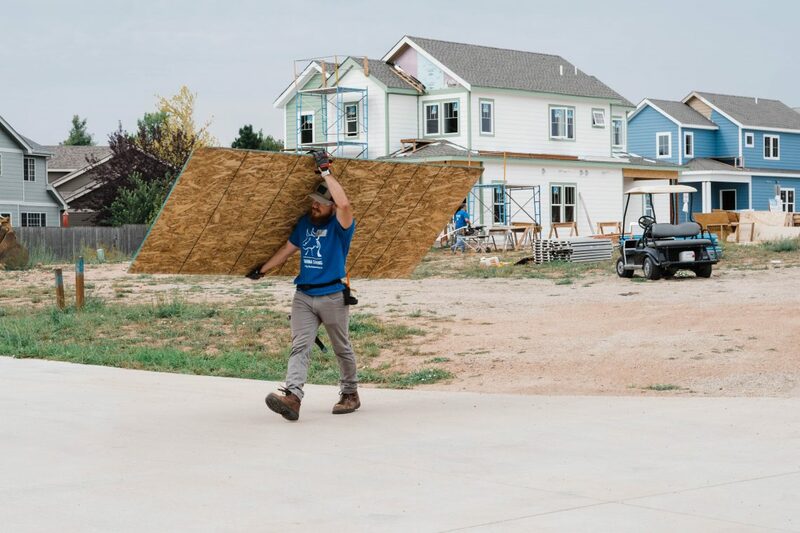 If you have any questions about how to get involved, please contact us or Habitat for Humanity Fort Collins directly. 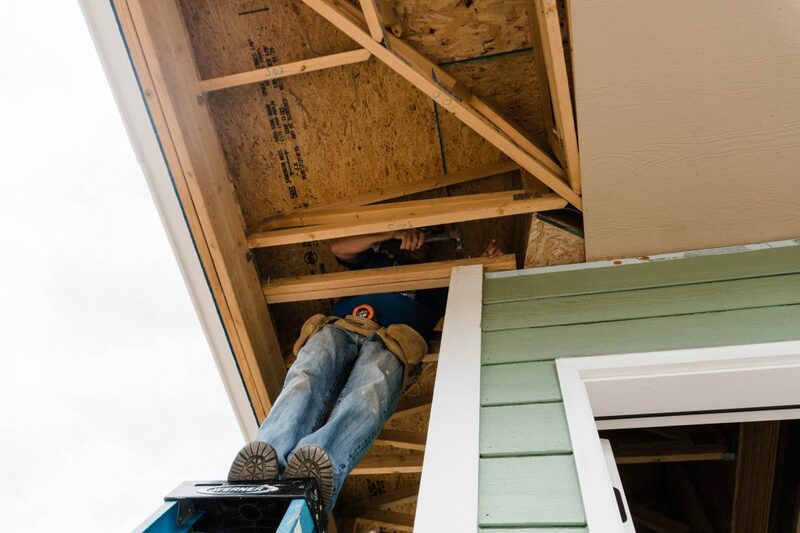 As you can tell, it won’t be an experience you regret!